Today’s message is dedicated to the ancestors. The blessings, gifts, and healings they have bestowed upon us are abundant and insurmountable at times. They had unbelievable struggles, survived everything from “genocide,” to “the great depression,” to “wars,” and trials we will never know. They were lovers, inventors, pioneers, some of them were murderers, crooks, thieves. They were all because we are all. We came to re-connect their stories, heal their pains, and free ourselves from the burdens of the past. In ancient teachings, “we are the ancestors.” They say it takes 9 ancestors to approve your incarnation into planet Earth. You have been here before. You are the ancestors. That is ancient wisdom. It’s the same pants walking in and out of your life, the boss who gets on your nerves, the new job that is just like the “old job.” You get the drift. These are patterns that we came to master, control, and refine. Ancestral patterns or “generational patterns,” run much deeper. They live in your bones. They survive in your blood. These patterns and behaviors. They seep into the blood, accumulate, and live on, generation after generation. The ancestral patterns run deep. They cause deeper problems such as alcoholism, violence, and destruction. They are also the harder patterns to break. This is why in the old ways, the most important thing you looked at when marrying was the bride or groom’s genetic line. Family blood has always been of importance in ancient times. They understood the power of your bloodline. They knew that “what your ancestors did,” was very important. Whatever “they did,” can and will carry on to the next generations. Breaking ancestral patterns is not an easy task, and it requires dedication, commitment, and assistance to successful free yourself. In ancient times, it was better to marry into a bloodline with less karma, and good reputation. Can multiply over and over. Those quirky traits that your mom did. Or, the way you laugh like your dad. These “patterns,” are both light and dark. You can see WHO your ancestors were by the way you walk. The way you light up a room. You can also suffer from the unhealed wounds. There is no half to a whole. You are whole of a whole people who came before you. Their footsteps are written all over your face and body. To not know who they are is not to know yourself. You are the bones, the skin, the hair, of people who sacrificed for you. That is buried in the technology of our time. We must remember who we are, and where we come from, to heal what’s ahead. The Earth is crying, her babies are dying, war is rising, without the ancestors humanity is lost. Great things are stirring, the land is erupting. In the night, thieves are taking, what is beauty untold. It is time for the warrior, the one with no sword. It is time for the rising, of the ancestors. When no one will come. This is not one, this is all. All the warriors join as ONE. The ancestors are with us. Just look at the stars. You will know the time. Take the time, do the work, go deeper into your DNA, and heal those wounds. Free yourself from the pain, suffering, and trauma of the past. For in doing so, you open yourself to the truth of who you REALLY are. You complete the cycles of generation past, and you heal your lineage in ways told and untold. You free your children from recycling these patterns, and you bring joy into your daily life. There are patterns within patterns. Start with the simple ones, and move into the more complex ones. This is the time to reconnect with the truth of who these people were. Who came before you? Dig deep. Patterns can be changed. Something that was once painful and sad, can be made bright and beautiful. and return to the completion and wholeness of who you truly are. 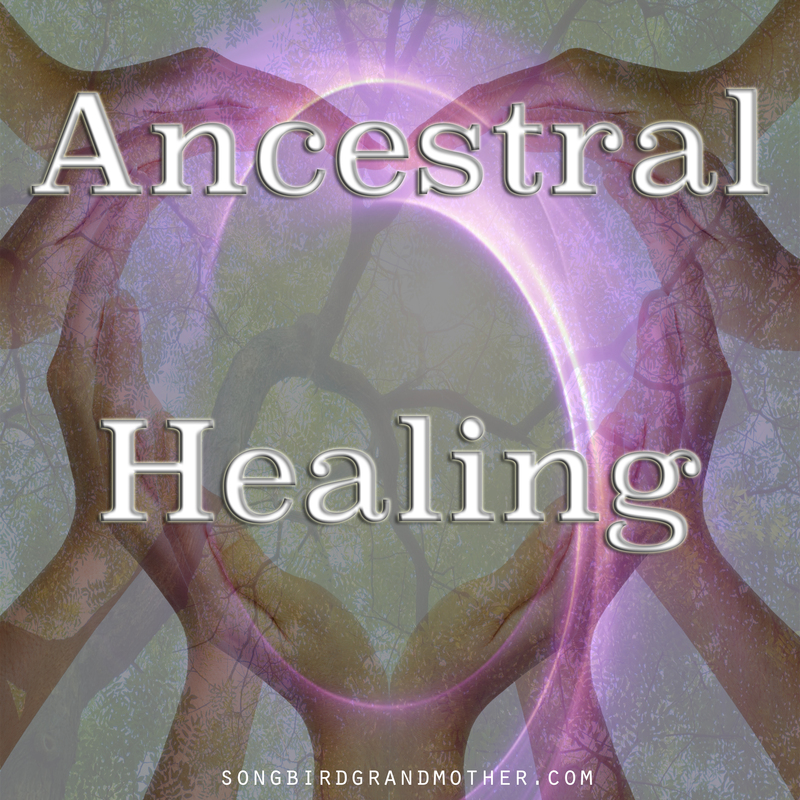 To receive an ancestral healing, direction, and clarity click here for your private session.